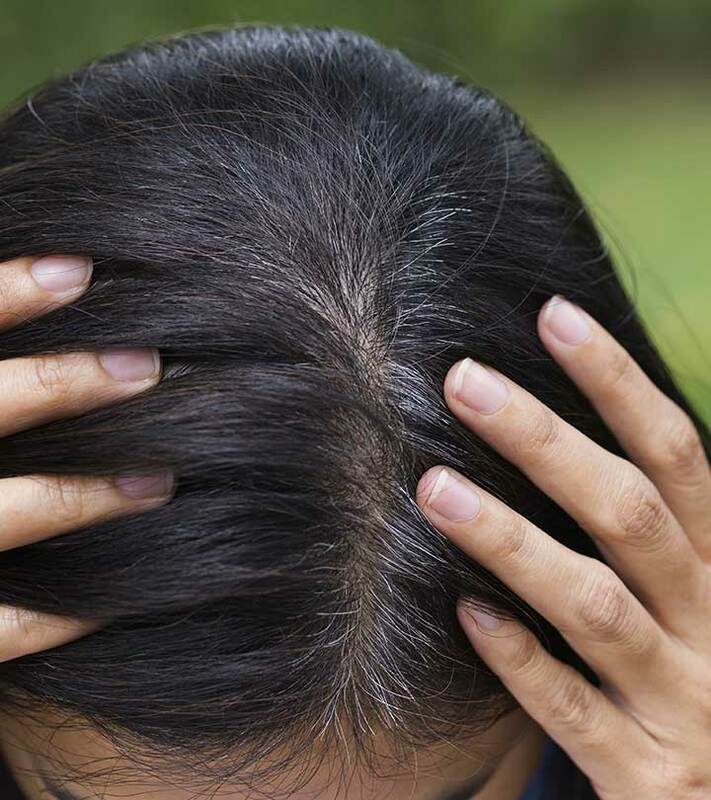 Gray hair is among the most dreaded nightmares that women have. You might disagree, but no one really gives gray hair much thought until you find one of your own. That’s when it starts to feel like the world is crashing down on you. Like everything is changing. And we, as human beings, do not like change. While some of us make peace with it and gracefully transition into silver vixens, some of us like to take our time before we make the transition. That is if we ever choose to because you always have a choice. Following are 20 natural ways to cover gray hair that you can choose from. In a plastic bowl, combine all the ingredients until you get a smooth, consistent paste. You can add some water if you think the paste is too thick. Put your gloves on and apply the mixture onto your hair using the applicator brush. Make sure that you cover all the gray parts. Leave it in for an hour or until the paste dries up. Rinse the hair pack out with a mild sulfate-free shampoo. 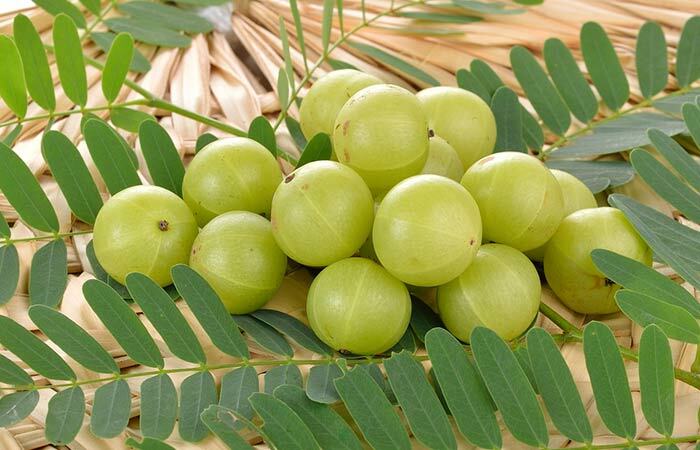 Amla and henna work together to dye your hair naturally. 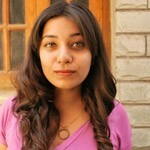 Also, they are excellent ingredients for providing your hair with moisture and nourishment. Boil the black tea in a cup of water and let it steep for a couple of minutes. Set the solution aside to cool. Once the tea has cooled, apply it to your hair and leave it in for an hour. Rinse your hair under cool running water. Repeat this once in two weeks. Black tea stains your hair, darkening it. 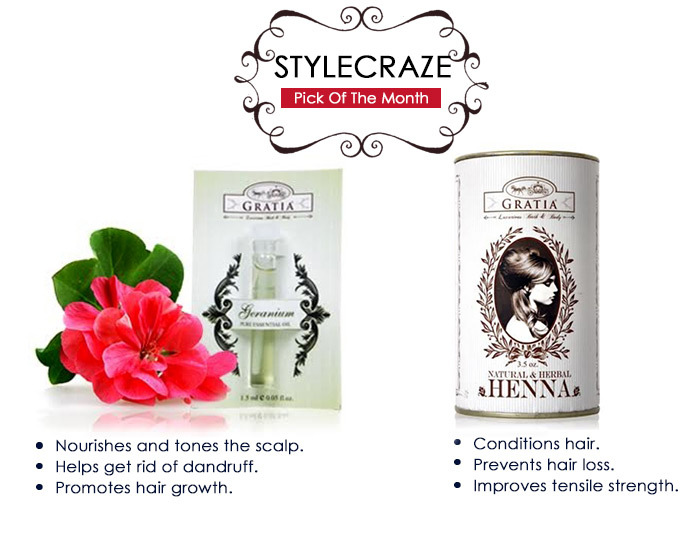 It also adds shine to your hair, making it an excellent remedy for reviving dull, lifeless hair. Soak the henna powder in a cup of water and let it soak for 8 hours. You can leave the henna to soak overnight. 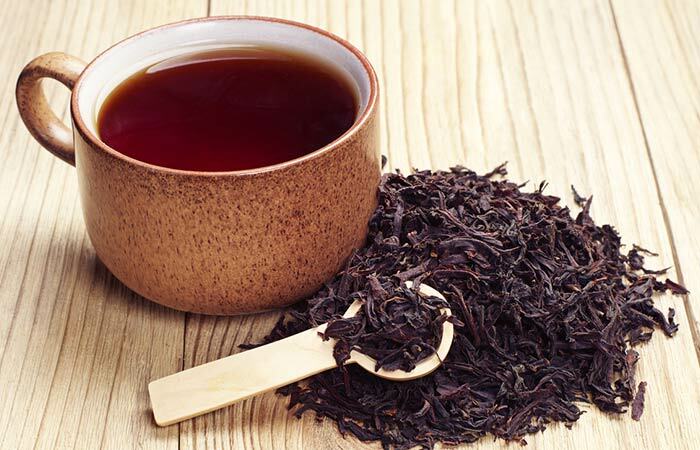 In the morning, boil the black tea leaves in water and let it steep for a couple of minutes. Set it aside to cool. Once the tea has cooled, pour it into the henna paste that you left to soak. Add the lemon juice and amla powder to this mixture and stir until you get a smooth, consistent paste. Boil the sage leaves in water and let it steep for a couple of minutes. Let the liquid cool and then pour it through your hair. Ensure that all of your hair is saturated with the sage water solution. Leave it in for 2 hours and then proceed to wash your hair with a mild sulfate-free shampoo. 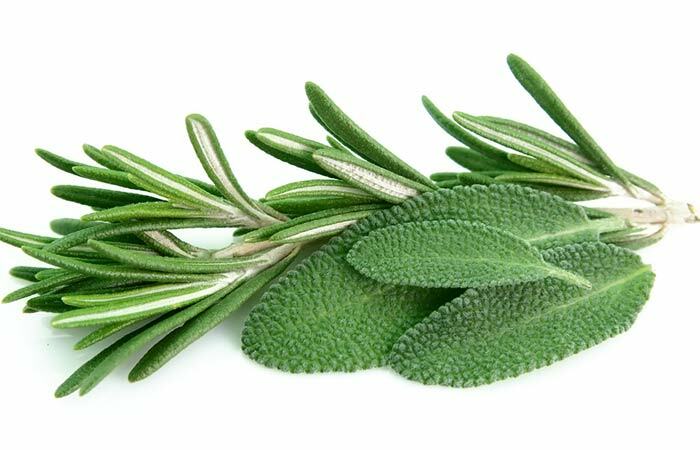 Sage leaves (salvis or sefakuss in Hindi), are one of the most effective of ayurvedic remedies for gray hair. It restores the natural color of the hair and prevents the growth of gray hair. 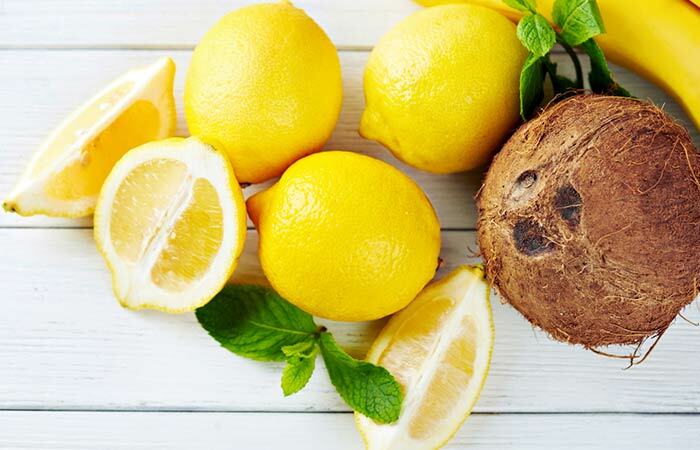 Combine the ingredients in a bowl and start applying it to your hair. Massage the mixture into your scalp and work it down to the tips of your hair. Once all of your hair is covered, leave it in for 30 minutes. While coconut oil and lemon juice do not reverse graying, it delays it by preserving the pigment cells in your hair follicles. Heat the curry leaves and coconut oil in a saucepan until you see a black residue forming. 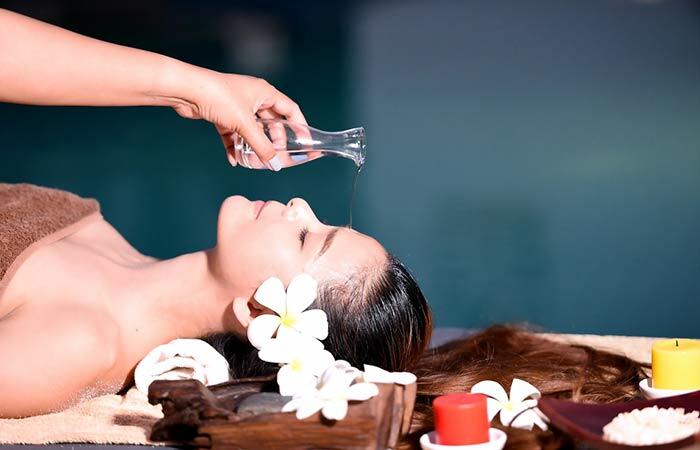 Once the oil has cooled, massage it into your scalp and work it through the length of your hair. Once all of your hair is covered, leave the oil in for an hour. Wash off with a mild sulfate-free shampoo. 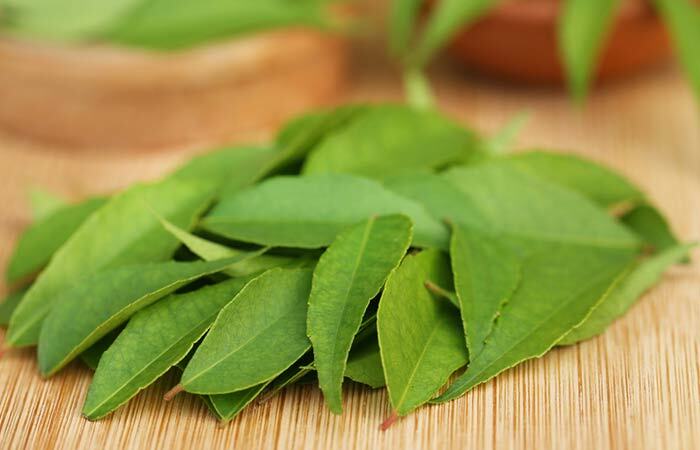 Curry leaves have the ability to restore the melanin in your hair follicles which help tackle graying. It also boosts hair growth by improving scalp health. Sun dry the chopped ribbed gourd until it is completely dehydrated. Soak the pieces in a cup of coconut oil for three days. At the end of the third day, boil the pieces in the oil for 5-6 minutes. Let the mixture cool. Strain out and collect the oil in a jar. Take about 2 tablespoons of the oil (depending on the length of your hair) and start massaging it into your scalp. Work it into your hair until it is covered from root to tip. Leave the oil in for 45 minutes and then wash it out with a mild sulfate-free shampoo. 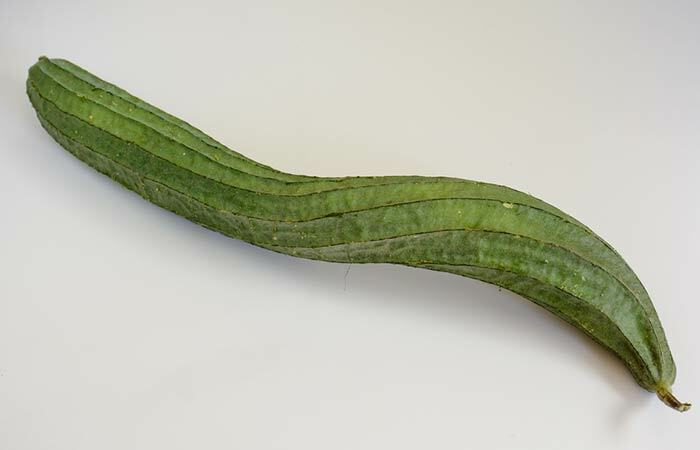 The Ribbed gourd is another vegetable that is known for its ability to restore the pigment cells in your hair follicles. Potato Peels from 6 potatoes. 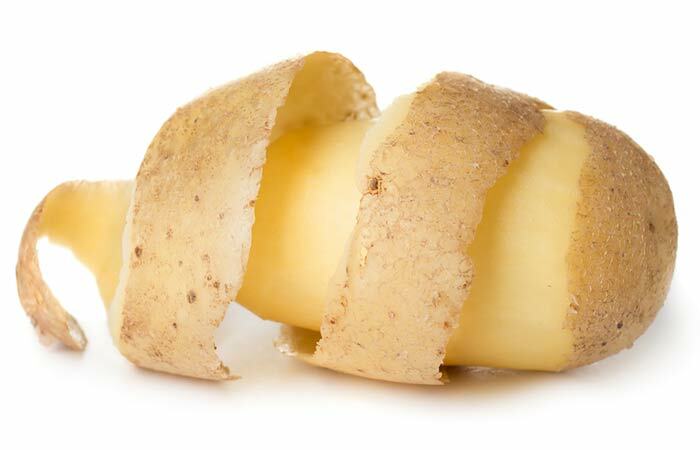 Boil the potato peels until you get a somewhat thick starchy solution. Let the solution cool and then strain out the potato peels and collect the liquid in a mug. Wash and condition your hair and then proceed to pour the potato peel rinse through your hair. The starchy solution helps mask grays by adding pigment. This is one of the easiest solutions for hiding grays. Brew a strong pot of coffee and then set it aside to cool. Once it has cooled, pour the coffee through your hair while massaging it in. Once you’ve poured all the coffee through your hair, let your hair saturate in it for 20 minutes. Rinse your hair under running water. 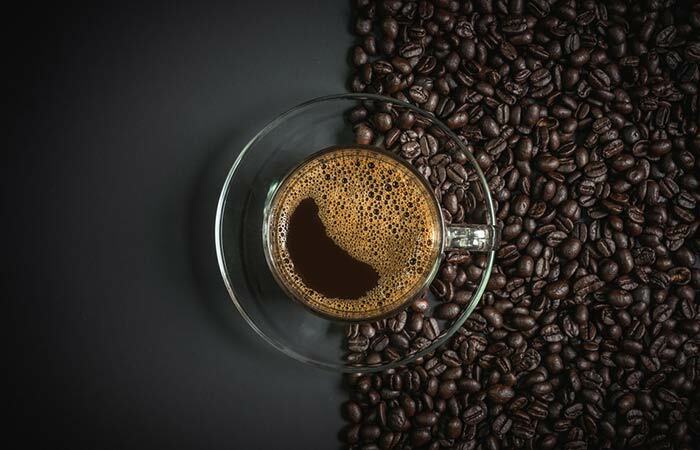 Coffee is not a permanent solution for gray hair. However, with regular use, it can stain your hair to a dark brown color and mask all of your grays. Heat the amla powder and coconut oil in a saucepan until the powder starts to char. Set it aside to cool. Once the oil has cooled, start massaging it into your scalp and work it through the length of your hair. Leave it in for an hour. Optionally, you can leave it in overnight. 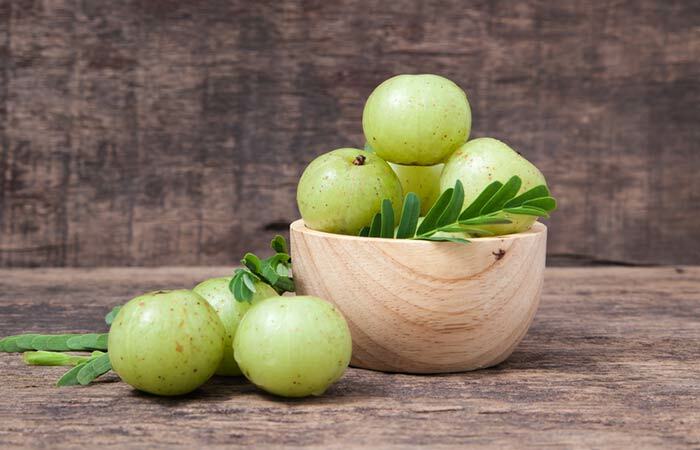 Amla contains vitamin C and antioxidant properties both of which help preserve the melanin in your hair follicles. This slows down the graying process. Blend the ingredients together until you get a graying paste. Massage the paste into your hair from the roots to the tips. Do not rub your eyes while applying the mixture as it can cause irritation. Leave it on for an hour and then proceed to wash it out with a mild sulfate-free shampoo. 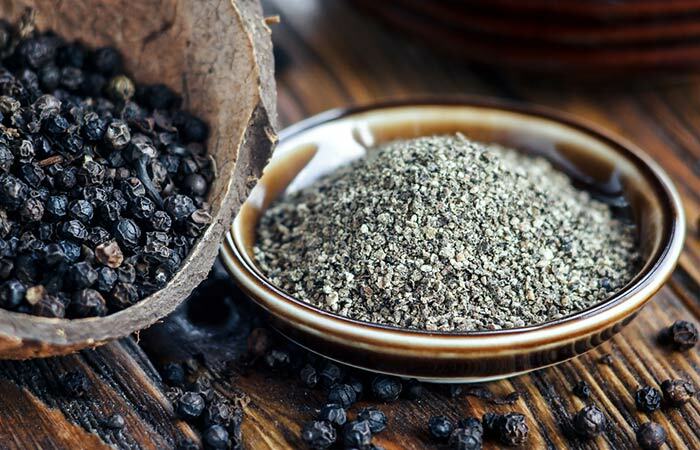 With regular use, black pepper can darken gray hair. The yogurt in the mask helps condition your hair and make it softer. Brew 2 cups of chamomile tea and then let it cool. Once the tea has cooled, pour it into a mug and set it aside. Wash and condition your hair. After you’ve rinsed the conditioner out, pour the chamomile tea through your hair as a final rinse. 2-3 times a week, or after every shower. 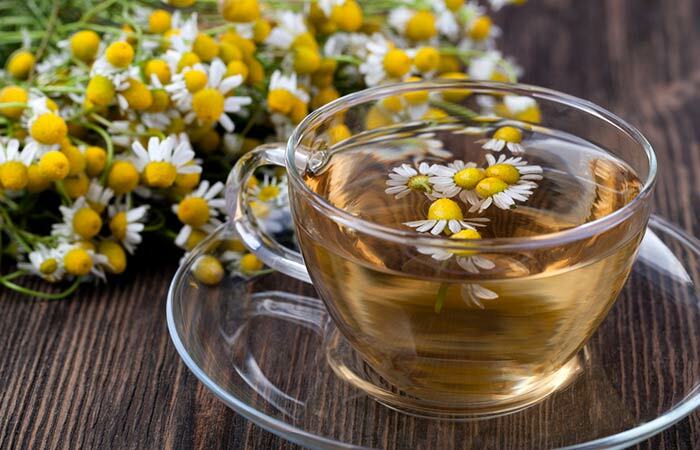 Chamomile tea has hair darkening properties, and with regular use, it can mask gray hair over time. In a jug, dilute the apple cider vinegar with 2 cups of water. Pour this solution through your hair and leave it on for 20 minutes. 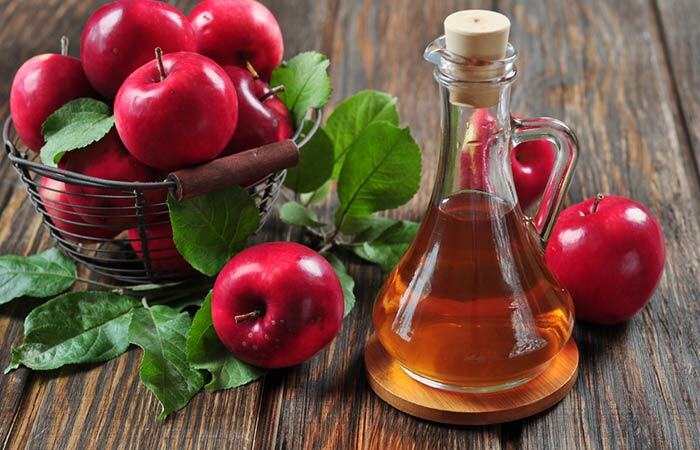 Apple cider vinegar is one of the best ingredients you could use to maintain scalp health. It helps curb graying by preserving the melanin in your hair follicles. Rinse your hair with warm water and then squeeze out the excess moisture. Start applying the molasses from the root to the tips of your hair until it is entirely covered. Focus mainly on your scalp while you are doing so. Leave it in for 30 minutes and then rinse it out with cool water and a mild sulfate-free shampoo. 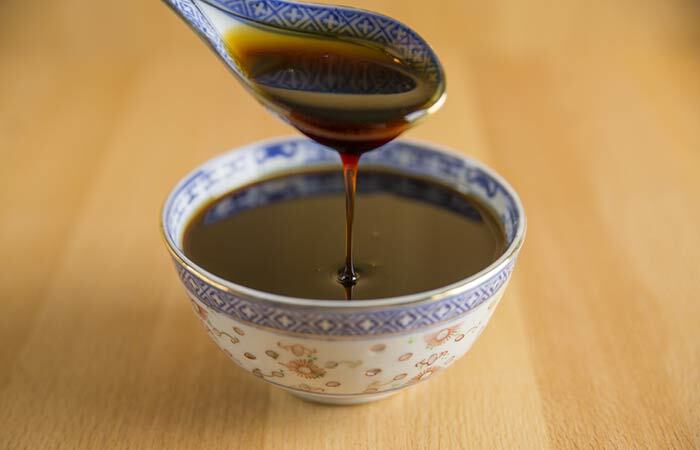 Blackstrap Molasses can restore the pigment in your hair follicles to reverse graying. You will have to use it regularly over a period of at least three months to see significant changes. Alternatively, you can consume two tablespoons of molasses every day. In a saucepan, heat the coconut oil until it starts to boil. To the boiling oil, add the fenugreek seeds and let it heat for 6-8 minutes. Set the saucepan aside to cool. Once the oil has cooled, strain out the seeds and collect the oil in a jar. Take two tablespoons of the coconut oil and start massaging it into your scalp and hair. 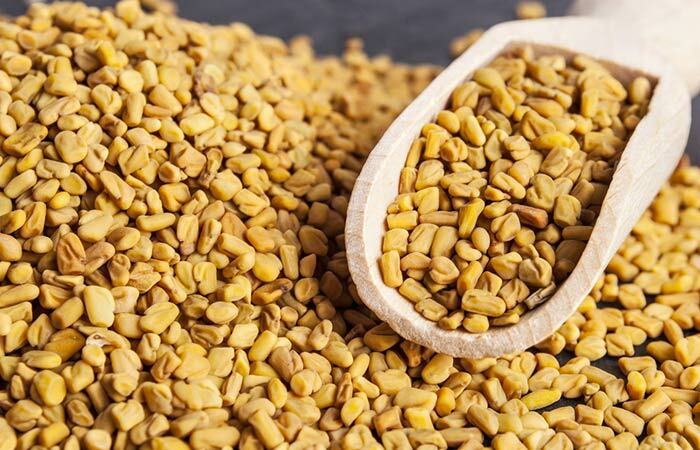 Fenugreek seeds contain lecithin and essential amino acids which curb premature graying. Heat the oil until it is slightly warm. Massage the warm oil into your scalp for about 15 minutes and then work it through the length of your hair. Once all of your hair is covered, wrap it with a warm towel (heat the towel by dampening it with hot water) and wait for 30 minutes. Wash the oil out with a mild sulfate-free shampoo. Regular oiling helps keep the hair follicles healthy while preserving colors. While most oils can only prevent graying, oils like black seed oil help darken hair over time. 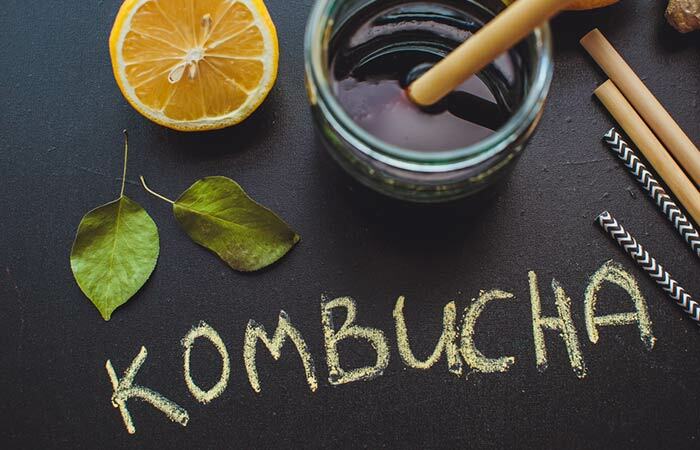 Saturate your hair with the kombucha and leave it in for 20 minutes. After the 20 minutes, wash your hair with a mild sulfate-free shampoo. Extract the juice from one onion and collect it in a bowl. Massage the juice into your scalp and leave it on for 30 minutes. 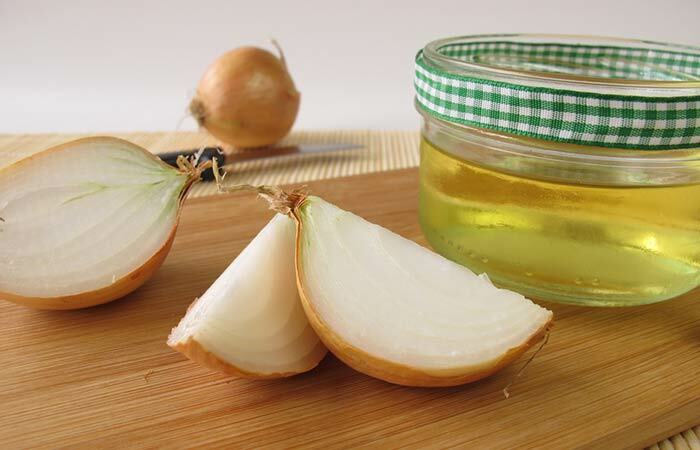 Onion juice has a rich content of the enzyme Catalase which helps reverse graying. Regular application can help darken your hair from the roots. Following the instructions on the box, combine the ingredients in a bowl. 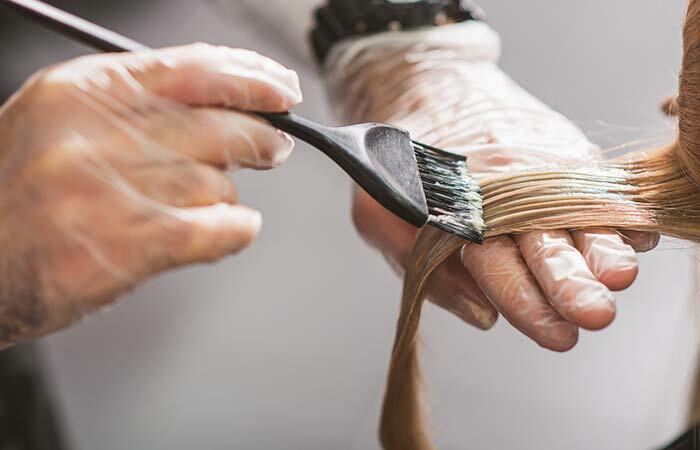 Wear gloves and using an applicator brush, apply the hair dye to your hair. Natural hair dyes do not contain the chemicals that regular box dyes contain. However, they are usually temporary and wash away in 8-12 washes. Boil the sage leaves in 2 cups of water and then let it cool. 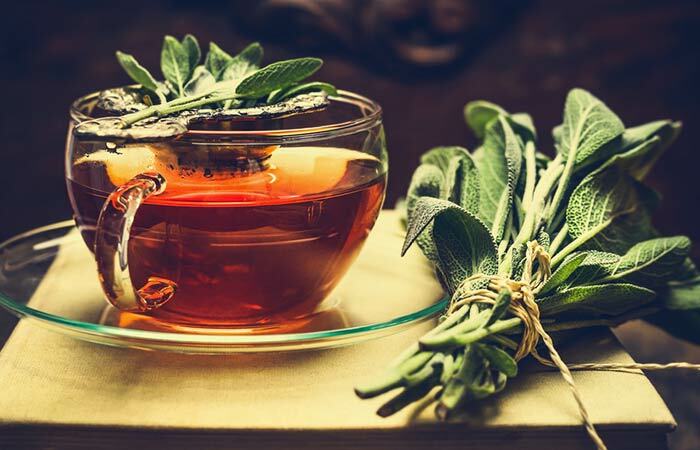 Collect the sage tea in a jug and to it add the drops of Rosemary essential oil. Pour this through your hair while massaging it in. Once all of your hair is saturated with the solution, leave it in for 10 minutes. Rinse it out with a mild sulfate-free shampoo. Sage is known for its ability to reverse graying while darkening hair. It works with rosemary to improve scalp and follicle health. Have vitamin-rich food: A balanced diet is essential for maintaining healthy hair for longer. Not getting the right nourishment is one of the leading causes of premature graying. Stay hydrated: Consuming a lot of water helps flush toxins out of your body while keeping your hair conditioned and healthy. Quit smoking: Smoking is one of the leading causes of premature graying. Quitting the habit will help in forestalling the graying process. Eat oats. Oatmeal is a great source of biotin which is an essential vitamin your body needs to keep your hair healthy. Dye your hair: While it is recommended to use a natural remedy, you may resort to dyeing your hair while in a pinch. Most of the dermatologists claim that graying at 25 may be attributed to your genetics. If your parents or grandparents had a premature graying problem, you too are at a greater risk of experiencing the same. Studies have shown that issues like a chronic cold, chronic constipation, anemia, or problems with thyroid gland can lead to premature graying. In fact, hyperthyroidism is one of the main factors for graying. Vitiligo is also a common cause for premature graying. If your body is not getting sufficient amounts of Vitamin B12, iodine, copper, iron, proteins, amino acids, and folic acids, you are more likely to get gray hair at a younger age. An improper diet causes a nutritional imbalance in the body. This tends to show itself in your hair and skin. 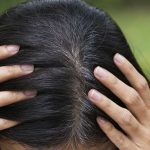 The overuse of chemical treatments and heat can cause irreversible damage to your hair and scalp, leading to premature graying. Studies have linked premature graying to an addiction to smoking. Smoking can cause a person to gray as early as in their 20s. When you are stressed over an extended period of time the vitamin B levels in your body drop considerably. This leads to premature graying. Now that you know how to cover gray hair naturally, what are you waiting for? With these remedies in hand, tackling grays can be a lot easier. Do you have any of your own natural remedies for treating grays? Let us know in the comments section below. What Leads To Premature Greying Of Hair And How To Prevent It? Did you know that henna can do a lot more than just color your hair? 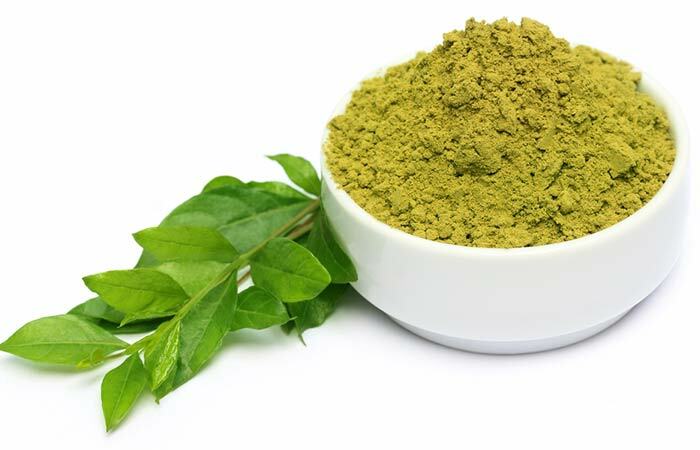 Conditioning, repairing damage, and balancing pH levels are just some of the many benefits that henna offers.